According to a Chinese study supplementation with L-histidine induces fat loss and improves insulin sensitivity. At least it does in women who are overweight and pre-diabetic. In 2013 the Chinese researchers published in Diabetologia the results of an experiment in which a hundred obese women aged between 33 and 51 took part. The women had metabolic syndrome: their bodies had stopped reacting properly to insulin and they were developing health problems as a result. Half of the women were given a placebo for a period of 12 weeks. The other half took a daily 4 g L-histidine in tablet form. The women took half of the amino acid dose after breakfast and the other half after their evening meal. In the 12 weeks the women who took histidine lost almost 2 kg body fat. The women in the placebo group put on 1 kg. The waist measurement of the women who took histidine went down by a couple of centimetres. Histidine supplementation increased insulin sensitivity [the HOMA-IR decreased] and lowered the concentration of the inflammatory proteins TNF-alpha and interleukine-6 in the blood. Inflammatory proteins inhibit the effect of insulin. Histidine supplementation also boosted the fat cells' secretion of adiponectin. Adiponectin is a signal protein that strengthens the effect of insulin. If physically active people consume one and a half grams of a mixture of the amino acids phenylalanine, alanine and arginine on a daily basis, the amount of fat in their abdominal cavity significantly decreases. 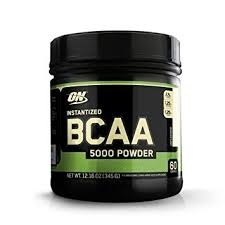 Japanese researchers discovered, when doing experiments with mice, that the liver and muscles play a key role in the fat-mass reducing effect of BCAAs. Low intensity cardio sessions on an empty stomach burn more fat if you take 3 g of the amino acid L-phenylalanine half an hour beforehand.